According to Project Baltimore, two Baltimore County Public School teachers have stepped forward and sounded the alarm regarding how the school system’s administrators have enacted policies that made schools appear safer on paper — however, this epic fail has led to a massive increase in violence among students and teachers. “I have been kicked. I have been punched. I have been thrown up against lockers,” stated one of the teachers. “I’ve been spit on. A lot of chair throwing, turning over desks, screaming, running around the classroom,” added the other. “What I’m seeing in the schools, it’s wrong and it’s scary. It’s frightening,” collectively stated the pair in a statement to Project Baltimore. More than a decade ago, these teachers explained how the school system operated in a much different manner. There were severe consequences for students who punched, kicked, or even threw a desk at a teacher. That student would be either suspended, expelled, and or arrested and charged as a minor. However, a few years ago, the school system’s administrators, who could have wanted more federal funding — decided to reduce disciplinary action among students to alter reality and make it seem like the school system was, in fact, improving. Project Baltimore details how this deceptive technique produced a culture of leniency, which means accountability among students evaporated. Also, it seems, there could have been pressure from the Maryland State Board of Education to reduce suspensions among the students of color and those with disabilities. 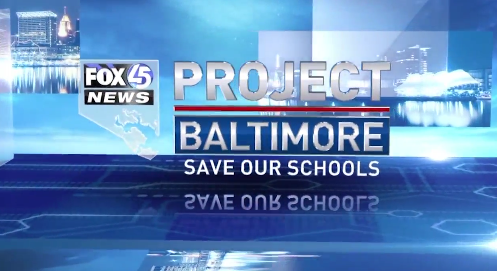 Project Baltimore believes the push started sometime shortly before the 2008 financial crisis. Papst’s and his team of journalists uncovered ten years of in-school and out-of-school suspension data. 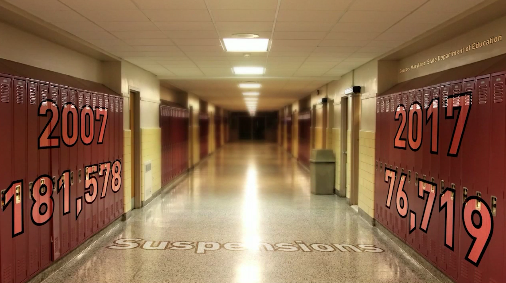 In 2007, Maryland had 181,578 suspensions. By 2017, it plummeted to 76,719. “Just over last year, we decreased our suspensions by 24 percent,” Tisha Edwards, Interim Baltimore City Schools CEO, told Fox Baltimore in 2014. What it seems like, is that Baltimore City/County Public Schools could have operated a pilot program of testing the reactionary consequences of reducing disciplinary action for troubled students. After a near decade of failure, these teachers have told Project Baltimore that this new approach to discipline has failed. “I understand that every child has a right to learn but there is no right to learn because you’re taking so much of the learning away to deal with discipline on a daily basis,” concluded the teachers. “Just so you know, you are making a broad and general statement by saying these are the programs ‘teachers say aren’t working.’ In other words, a few teachers do not represent the majority of teachers in the system (we have more than 9,000) or those who do believe the programs are working. I certainly hope your story does not present a one-sided view of this based on a couple of teachers. In fact, these character education programs were first introduced by principals and teachers in several of our schools and have been expanded as school administrators shared their outcomes with their colleagues who then worked with their own staffs to collaboratively agree to use these programs. These characters education programs were not mandated by central office but grew from our schools. We support schools using them but every school community is unique and we trust principals to work with their teams to do what’s best in their buildings. Systemically, we have policies and rules that outline expected behaviors and consequences for student and staff. We provide support and professional development for schools regardless of what programs they use but you should not suggest that there is a mandate from central office that schools use a particular program. I also hope there is not a suggestion that mentoring does not work. We have seen otherwise as evidenced by various programs across the system.